The Kapiti Coast has plenty of attractions whether you are looking to explore the natural surroundings, entertain the kids or just take a romantic stroll along the beach. Tudor Manor’s central location makes it the ideal Kapiti Coast B&B to use as a base during your time on the coast and explore our great dining options. There are plenty of hotels and motels in Paraparaumu Beach to choose from but Tudor Manor is your first choice if you are looking for something a little different and the personal touch to your Paraparaumu accommodation. If you are looking to get out in the fresh air and enjoy the best of New Zealand nature, try these activities. 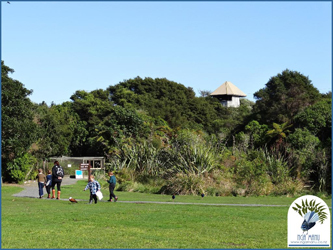 Great wildlife, nature and history can all be discovered on the ferry guided tour to the amazing Kapiti Island! 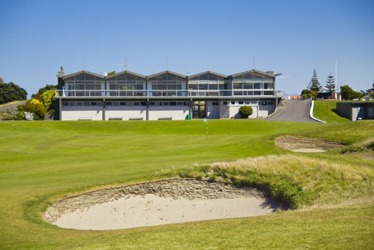 This premier golf course situated in Paraparaumu Beach. Many golf Open Championships and tournaments have been held at this fantastic golf club. Take the opportunity to discover New Zealand’s native birds, see the Kiwi in the nocturnal house and try your hand at eel feeding. 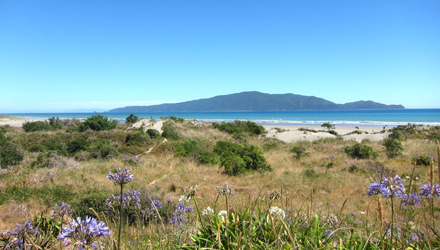 Offering you spectacular views of Kapiti Island and miles of sand the beaches along the Kapiti Coast are perfect for romantic walks along the beach, a fun family day out, a spot of swimming or a run. Tudor Manor is just a few minutes walk from part of the beach network. 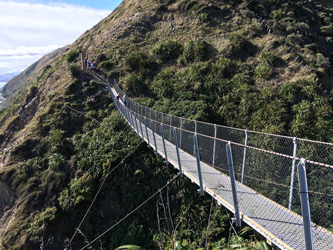 This new track, part of the Te Araroa Trail runs from Paekakariki to Pukerua Bay high above State Highway 1 and the railway, reaching 220 metres above sea level. The track is steep in places and includes a number of stairs but offers spectacular views. Walkers need to be relatively fit and be able to deal with heights. Looking to keep the youngsters entertained? These attractions will keep them happy. 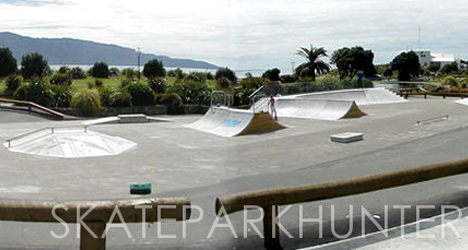 Located in Paraparaumu Beach with only a five minute walk away from Tudor Manor this is the perfect place for teenagers and younger children to try out their skateboarding and bike skills. 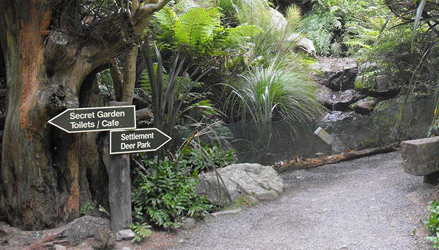 A short drive from the Kapiti Coast, the reserve has friendly animals, native birds and wonderful native bush. Feed the animals and then stay for a drink in the cafe. 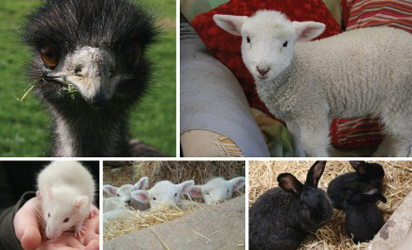 Wander round the farm and see the rabbits and sheep, enjoy a coffee in the cafe and then browse the nearby shops for a souvenir or some handmade candy from the sweet shop. Occasionally the Kapiti Coast weather doesn’t come to your party so you need an indoor option to keep you busy. Luckily there are some great options available. This internationally recognised museum houses an amazing selection of cars, motorbikes and even aeroplanes. Challenge your friends or family members to a game of bowling at Kapiti Ten Pin, or enjoy a round of mini golf. Spend some time in the mall with a range of local stores and national brands. The mall also has a number of cafes and dining options. Located in Coastlands mall, the cinema shows all the latest releases in comfortable surroundings. At Tudor Manor, personal service is a big part of the luxury accommodation package we offer. So, if you need help booking a Kapiti Island tour, or you need ideas for your itinerary, our team are ready to help. 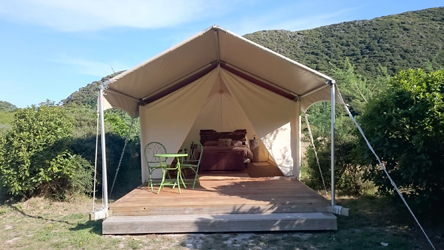 We can also help with all manner of other things including suggestions for restaurants close to our Kapiti Coast bed and breakfast, and local shopping areas. Combined with our well-appointed rooms and continental breakfast, this personal touch makes Tudor Manor your first choice when you are looking for bed and breakfast accommodation in Kapiti.